I won't lie - prior to seeing the trailer for Netflix's most recent movie, I'd never heard of this novel before. 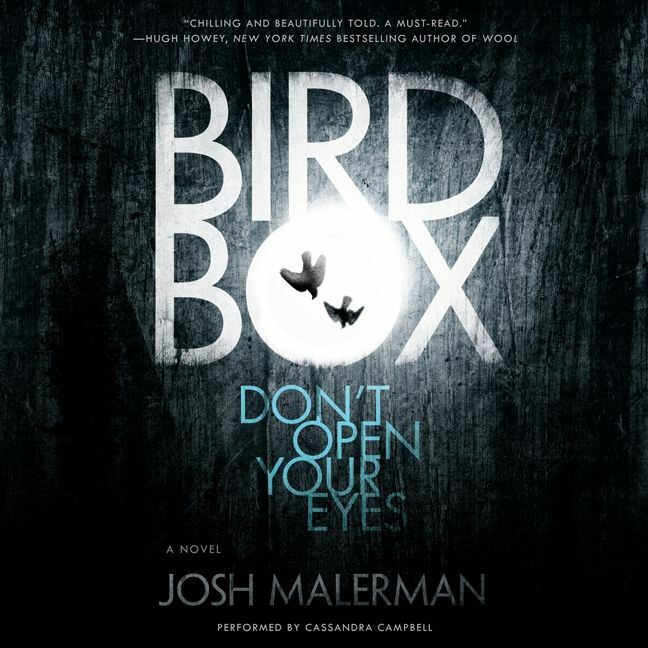 It immediately caught my interest and I got the audiobook for Josh Malerman's novel. The story is told through the eyes of Malorie, a young college student who discovers her pregnancy. This realization coincides with the advent of worrying news spreading all over the internet. Incidents of people going mad and hurting themselves violently become more frequent and the death numbers increase worldwide. When "the Problem" reaches her neighborhood, she eventually ends up seeking shelter among a group of other survivors. It becomes apparent that seeing "something" is the cause of problems and thus no one can keep their eyes open when leaving the shelter. This part of the novel is contrasted with events that happen later on as Malorie, with two children, decides to make a desperate attempt at reaching a safe house that can only be accessed by sailing in the river. Such structure allows Malerman to make the reader focus on two timelines at the same time. While we know that Malorie eventually ends up alone with children, we have no knowledge of the events that led to that, which keeps the story so interesting. The atmosphere is truly suffocating and the emotions experienced by the protagonists are something that can easily be imagined. Actions dictated by fear, distrust, often lead to chaos. The author cleverly distributes the tension without using cheap literary devices (like "jumpscares" where evil/ugly/powerful creature appears suddenly). Quite the opposite, I often felt puzzled as there were no direct clues to what was actually happening and only slight portions of the terror were being revealed. Just enough to cause me to try imagining the rest myself. Definitely the best horror I've read in months and something that reminded me of some of the earlier (and better...) works by Stephen King. 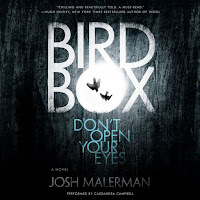 I'm going to chek out some of Malerman's other works for sure!